TERRACE in light granite grey is a flat-woven wool rug that has been hand-woven using a traditional Kilim technique. 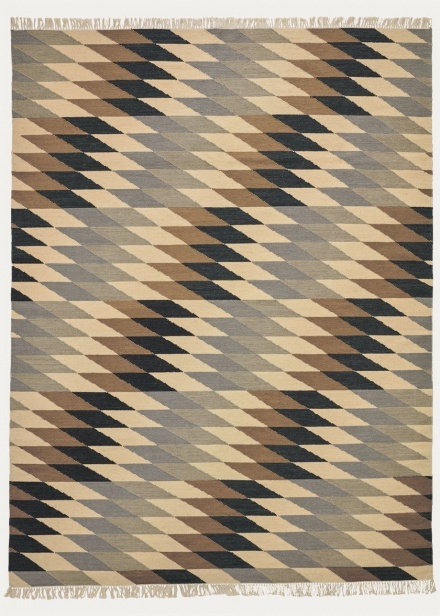 The rug’s design is modern, featuring a diagonal diamond pattern that creates a distinct, urban look. Light fringe at each end. Available in two colourways. One in an earthy palette, and the other in a blue and green colour spectrum. Perfectly suited for bedrooms, living rooms and under the dining table alike. Made of high-quality wool by skilled and experienced weavers in India. This makes TERRACE a durable, long-lasting rug. 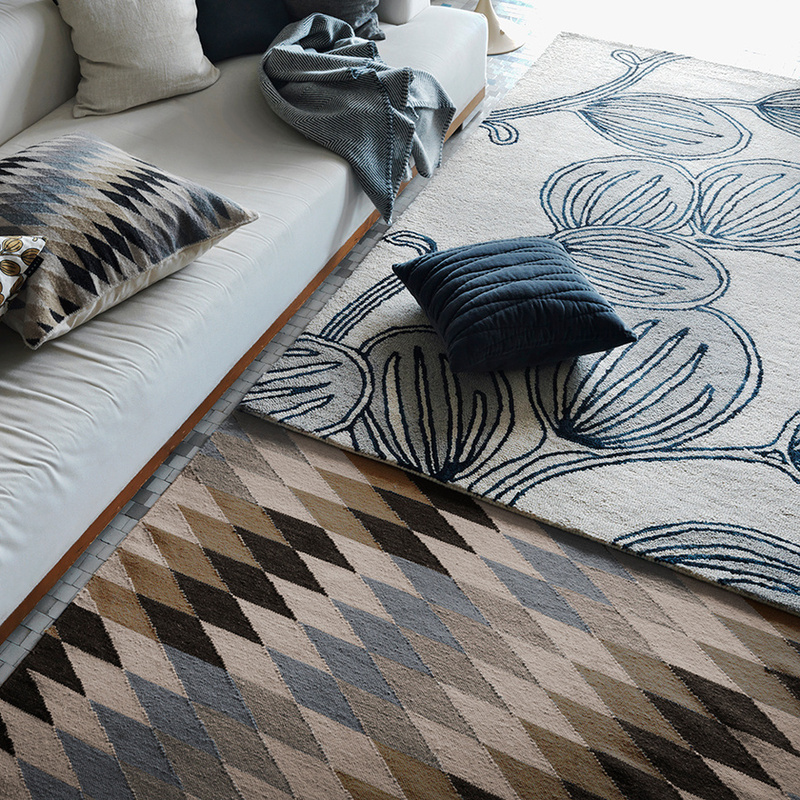 The wool yarn is carefully dyed prior to the rug being woven by hand, providing a subtle natural mélange effect. We at LINUM are proud of the painstaking artisanship that goes into each individual item, which is clear from its symmetry and completely straight edges.